Training camp brings about a steep level of competition for a lot of players fighting for the same roster spot. There are individual players that certainly have their spot on the roster and simply must show up in shape and ready to play, however there are players that do not have a definite spot nor a definite contract. One position in particular will have a unique competition in who will be Jonathan Quick’s backup at the start of the season and who will start the season where. 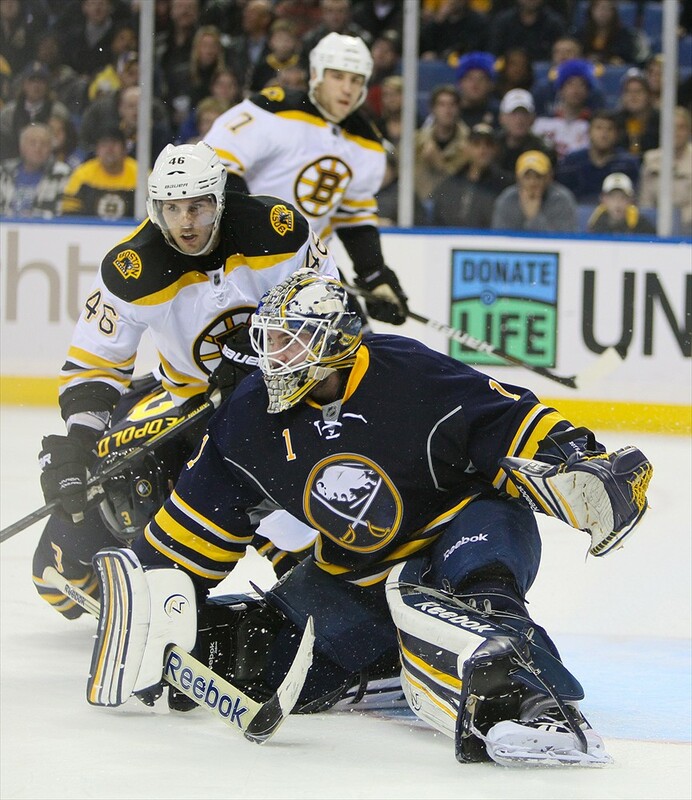 With the free agent signing of Jhonas Enroth on July 1 and the signing of Peter Budaj to a professional tryout in late August, the two will be entering camp focused on the same position. Reminiscent of Ben Scrivens having to battle Mathieu Garon in 2013, Enroth and Budaj will each have less than a month to show why the Kings should trust them with the responsibility of backing up an integral part of the Kings’ core. But Budaj might not just be battling for a spot in the NHL, but he will be battling two AHL Calder Cup Champion goalies in J.F. Berube and Patrik Bartosak. The signing of Budaj presents the questions is Budaj still capable of an NHL job and where exactly does he fit in? Budaj made his last NHL appearance was May 17, 2014 in a playoff game for the Montreal Canadiens. The Canadiens would go on to lose that game 7-2 with Budaj allowing three goals in the one period he played. Looking at Budaj’s stats from 2013-2014, because that was the last season he had played in the NHL, they are conclusively mediocre. Appearing in 24 regular season games, Budaj’s save percentage was 0.909 and had a 2.51 goals against average. At even strength 5v5, Budaj’s statistics mirrored Enroth’s 2014-2015 season as both goalies had an adjusted save percentage above 0.910 and save percentages against shots taken from high-danger scoring areas with Budaj’s high-danger save percentage being 0.06 better than Enroth’s. There is one glaring difference in that statistic and that is Budaj faced a total of 95 shots from high-danger scoring area on a Montreal team that has made the playoffs seven of the last eight years whereas Enroth faced 284 during his time with two non-playoff teams the Buffalo Sabres and Dallas Stars. Budaj spent last year in the AHL with the St. John’s Ice Caps and posted a 0.888 save percentage and a goals against average of 3.55 in 19 games. In those 19 games, Budaj posted a miserable 0-9-6 record. Given his AHL statistics and complete absence from the NHL last season, Budaj looks as though he will not only be fighting for a job in the NHL, but could be hopeful just to get any kind of contract from the Kings. Granted, Budaj has nothing guaranteed to him with a professional tryout contract. But something that Budaj can guarantee is being an able body that can fill a roster spot if there is an injury and that may be the case as Berube could still be healing from high-ankle sprain suffered in game three of the Calder Cup Finals against the Utica Comets. Other factors that may give Budaj a chance is the three expiring goalie contracts at the end of this season. Enroth was only signed to a one-year deal and will be an unrestricted free agent next summer and Berube and Bartosak both have one more year until they are restricted free agents according to CapFriendly. Given that Berube is 24 years old, a Calder Cup champion, and is in a system that features one of the premier goalies in the NHL, there can be a lot of attention from other NHL organizations looking to improve their goaltending depth with a young, proven goalie. And considering the Kings have had to trade Jonathan Bernier and Martin Jones for some of those exact reasons, it is not farfetched to think that Berube could start an NHL career somewhere else. 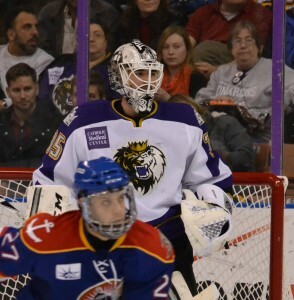 Jean-Francois Berube watches the play unfold Saturday night in a 3-2 win over the Admirals. Berube made 28 saves in the win. Even if Budaj were to win a contract with the Kings coming out of training camp though and start in relief of Berube if Berube is not fully recovered, Budaj’s AHL numbers were well below sufficient and he was unable to even give his team one single win. Not that every game relies on the goalie, but the goalie is the last line of defense and does play a big part in a game’s outcome. With Budaj signed, albeit to a professional tryout contract, the Kings have five goalies signed to some kind of contract and ready to show up on Sep. 18 for the first day of training camp. 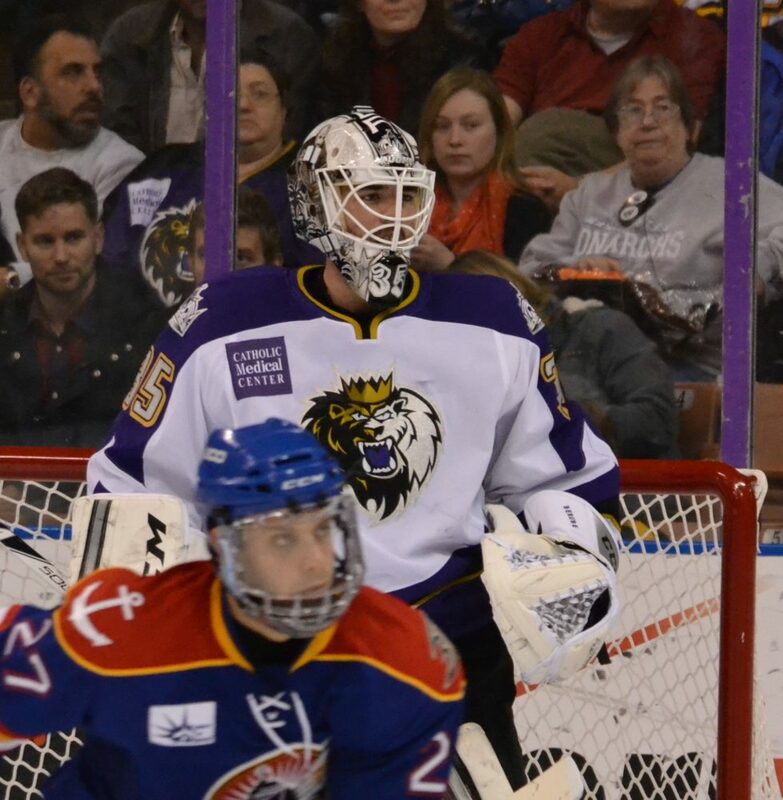 Berube and Bartosak certainly made big steps forward in their development leading the Manchester Monarchs to clinching the Calder Cup. 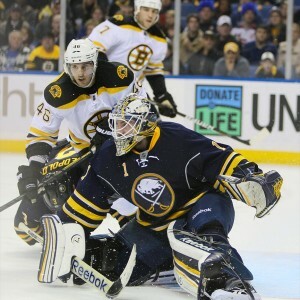 Enroth has the experience and capabilities to backstop for a great possession team and Quick will look to regain his Conn Smythe Trophy winning form during the next eight seasons he is signed for leaving Budaj on the outside looking in.